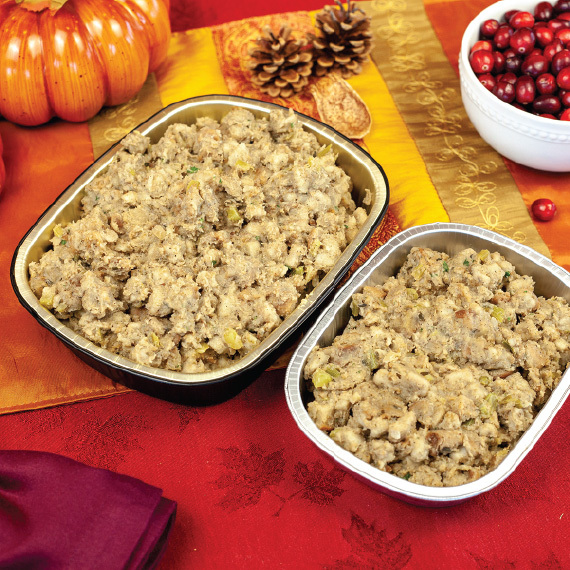 Our Straub's classic herbed bread dressing features onions and celery seasoned with thyme and rosemary. The cubed bread is soaked in a turkey stock and seasoned with poultry seasoning, black pepper and sage. Finished with fresh parsley. All prepared food served cold with re-heating instructions.